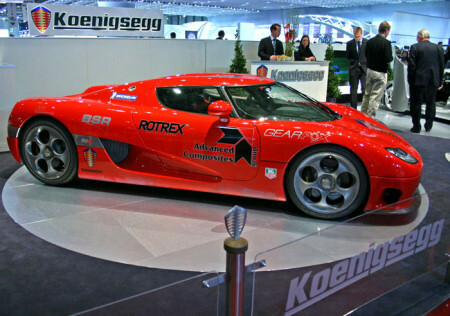 BSR starts collaborating with Koenigsegg Automotive AB to further develop the engine of the CC8S model. 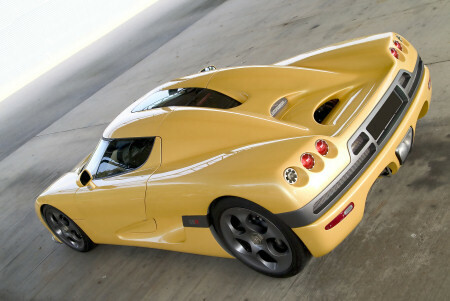 After extensive development work, mainly with the fuel supply, the engine’s power output reaches 655Hp at 6700rpm. No other multiple produced private car engine has performed such a power output! The enormous power output causes some problems when the power shall be controlled according to the EEC 80/1267 norm. The problem is to find an engine dynamometer capable of handling the power. 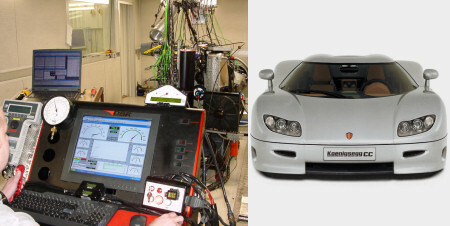 BSR gets hold of a Land & Sea engine dynamometer that can handle a power output of 1600Hp. The power output test is carried out under rigorous conditions. A Spanish test institute, INTA, supervises the test.